Golden 6-Hour Kirtan - This Saturday! ~ The Toronto Hare Krishna Temple! Golden 6-Hour Kirtan - This Saturday! As you may already know, we are celebrating quite the festival this Golden Weekend and it all starts off with a non-stop 6-Hour Kirtan on Saturday, March 15, 2014! The kirtan will kick off right at 3:00pm and end with a grand finale at 9:00pm, including prasadam (vegetarian feast). 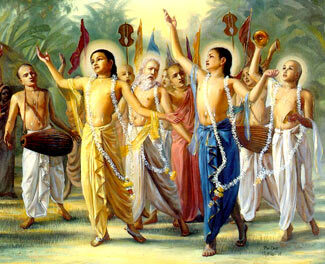 Please come and join us as we begin to celebrate the appearance of Lord Chaitanya this weekend!